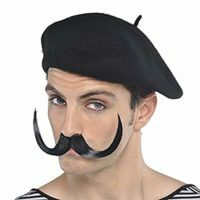 Wayfield later noted that he hopes to expand his beret collection in the future. “No good director or cinematographer relies on just one beret. And I aim to be the best of the best.” He went on to describe his Amazon shopping cart, which contained “sequined berets, floppy berets, and berets of all different colors and patterns,” all of which totaling to roughly $435 USD.